Description: PRICE REDUCTION!!! Was $595. Now $529.! 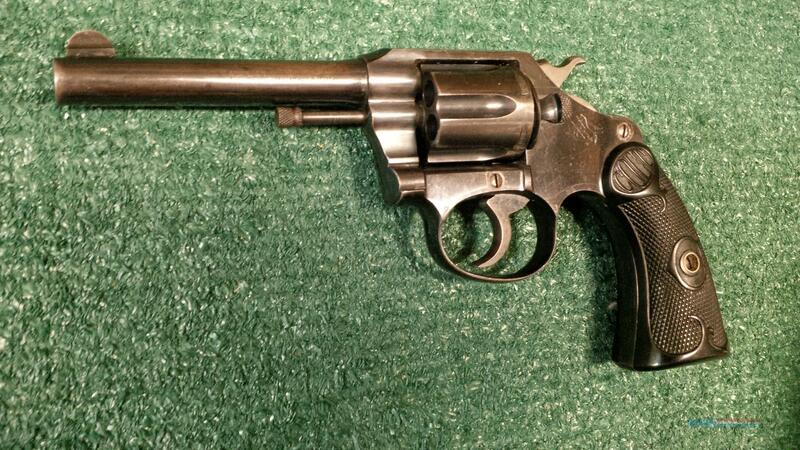 !This Colt Police Positive .32 caliber revolver was manufactured in 1912 and is in exceptional condition overall. This is a first year production gun!!! Serial number 1003xx.The barrel is 4 inches long and the cylinder holds 6 rounds. This double action revolver is chambered in the Colt .32 police cartridge which also accepts the S&W .32 short and .32 S&W long cartridges. Both rounds are readily available for purchase from our store if needed. The bore is spotless and the metal is 90% or better and original. The Colt logo grips are factory original and indeed flawless!! The cylinder timing is also flawless the lock up solid, this revolver is a delight to shoot. Great for the collector or home defense gun for those who object to recoil. Your satisfaction guaranteed and as always thank you for your interest in our listings!